These two designs of Gaudi are the strangest yet most fascinating buildings I've come upon in Barcelona. I love these windows. I feel like being in a fantasy world just by looking at them. This building is hard to miss because of it's fish scale-look like walls. Built between 1904 and 1906 - now more than a century ago - at the request of the textile industrialist Josep Batlló, at the height of the artistic maturity of the brilliant architect, it is a true masterpiece which seduces visitors by its exceptional design, its refined succession of artistic details, and its creative use of materials and color. 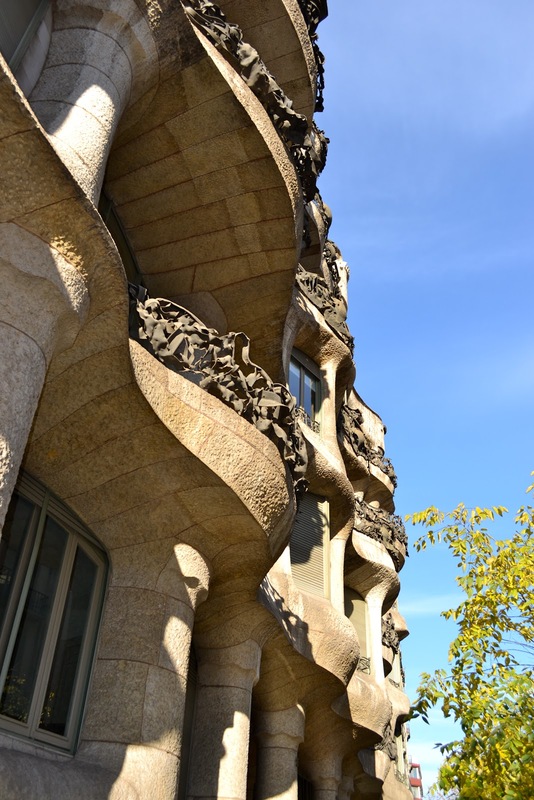 A few blocks or a few minutes walk from the Casa Batllo is La Pedrera or Casa Mila. Like Casa Batllo, there's a strange similarity to this building's design. Barcelona is an architecture's delight. You can't leave Barcelona without seeing these two buildings. La Pedrera, Provença, 261 - 265. 08008, Barcelona. 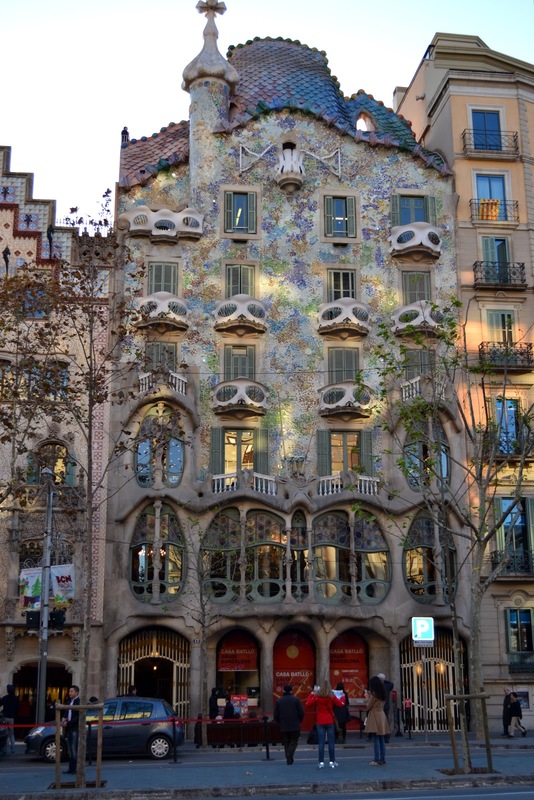 Casa Battlo, Passeig de Gràcia, Barcelona. If by God's grace I find myself back in BCN, I'd explore both intriguing facades this time. Those are really unique buildings. Whimsical and captivating.